This proscenium theatre with a 24-lineset single purchase counterweight system facility has a 308 person seating capacity. 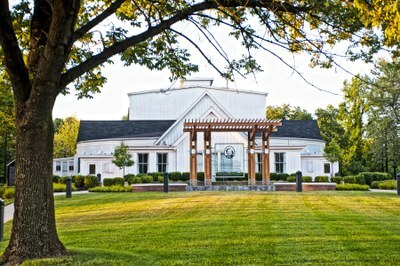 The ornate proscenium with vaulted truss wood supports and the stained-glass windows surrounding the house creates a magical environment in which to see and perform theatre. The stage’s 8’x8’ grave trap allows for lifts and entrances from below. could be erected. In 1977, the Playhouse was dismantled to make room for the construction of the William F. Ekstrom Library and Learning Resources Center. 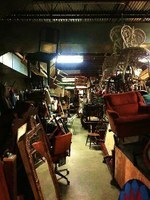 The building was systematically taken apart and safely put into storage. Rebuilt in 1980 on the traffic island between 2nd and 3rd Streets at Cardinal Boulevard, the Playhouse was expanded to include a basement and full-working scene shop. building techniques for our technical theatre students. or long periods of drying time. Special training sessions with the Department of Theatre Arts and Hazardous Waste Management is offered to train students in the safe use of the facility and must be completed before booth usage permission can be granted. The Theatre Arts Department Scenic Shop is located directly behind the Playhouse Theatre stage and is a fully functional technical theatre space. 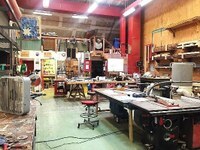 It includes a wide range of carpentry tools with enhanced safety features, such as SawStop Technology on the table saw, central dust collection and ventilation, a welding area with MIG and stick welding capabilities, separate paint and tools storage, and a prop construction area (located in the loft space). The walls are lined with new and upcycled material storage. This allows for most of the materials to be reused in multiple productions, which limits the amount of wasted materials and encourages sustainability. 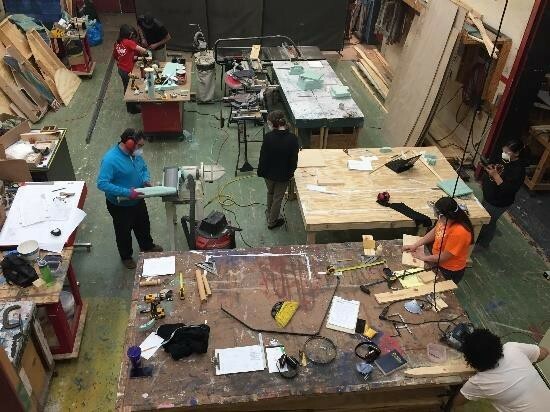 Sustainable theatre begins with having the facilities to store stock scenic pieces built by the Stagecraft and Technical Theatre Scholarship students. The basement of the Playhouse Theatre contains approximately 15,000 square feet of storage with heights of 12’ to 16’ throughout. Storage includes stock walls, platforms and triscuts, staircases, steel structures and framing, doors and windows. The basement also contains fabric storage for legs, borders, cycs, scrims, and painted drops. The extensive properties’ storage allows for Department productions to appropriately fulfill scenic needs from any historical period. 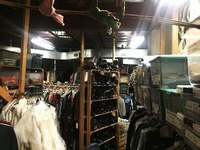 The Department has an experimental lighting lab in the basement of the Playhouse Theatre where student designers can test out colors on scenic and fabric swatches and on costumes. Students also use this space to experiment on lighting and projection design projects. The space contains a mixture of conventional, LED, moving light, and projection technology. 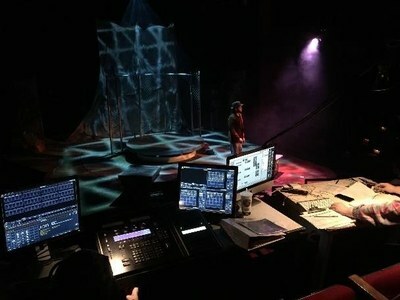 Lighting is controlled by both the EOS control platforms and ION consoles, as well as ChamSys Magic Q software. The Projection Design technology uses both Christie short throw and variable throw projectors controlled by QLab and Isadora software. 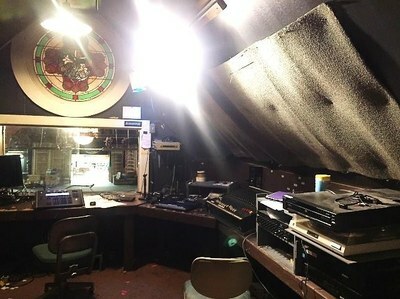 The Playhouse Theatre booth contains the Department sound recording studio and sound lab. Students are trained on both analog and digital mixing consoles in this studio. Live vocal and folly recording takes place in the Sound Lab for both student projects and Department productions. Students are trained on a variety of editing platforms and are trained to program productions using the QLab audio software. Sound students also learn the art and science of mixing microphones in dynamic spaces like the Playhouse and Thrust Theatre.